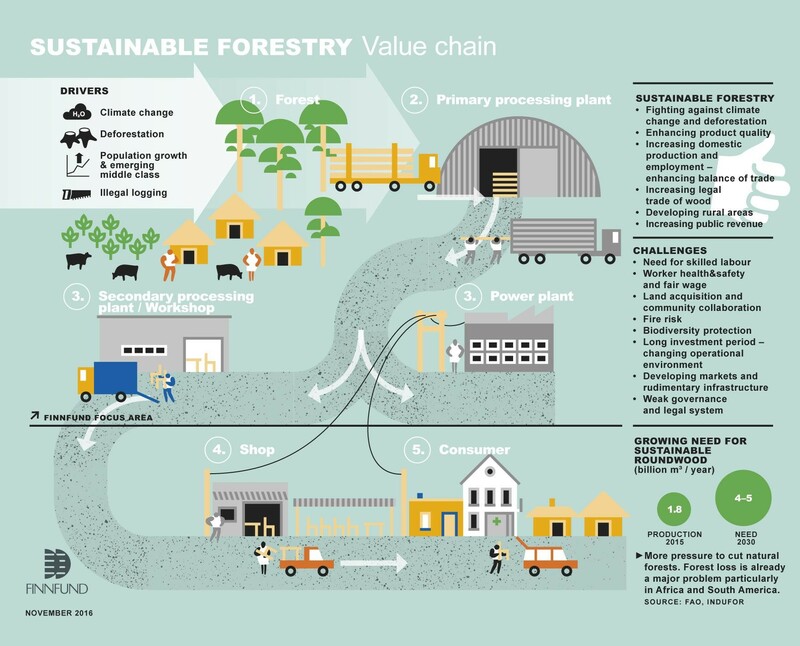 “Sustainable forestry is good business. It shows, for instance, as better planning of operations, financial management, cooperation with local people – and at the end of the day, as better products, too,” says Chris Burchmore, Director of FSC Africa. Deforestation and degradation of forests is a global challenge. According to FAO, Food and Agriculture Organization of United Nations, in Africa more than two million hectares of forest cover is lost every year. Sustainable forestry is one tool to fight against the issue. In August, Finnfund organised training to its staff together with FSC, a global organization dedicated to providing solutions and promoting of responsible forest management. Sustainable forestry is one of Finnfund’s key sectors. The training was led by Michal Brink, a South African expert in forest conformance systems and forest engineering, and Chris Burchmore, Director of FSC Africa. The training was organized in cooperation with FSC Finland. 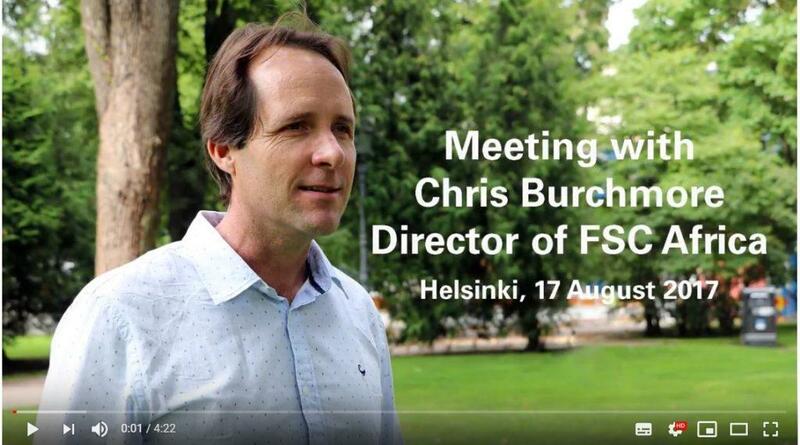 Finnfund interviewed Chris Burchmore during his visit in Finland. FSC, Forest Stewardship Council®, is a global, not-for-profit organization that aims to set the standards for what is a responsibly managed forest, both environmentally and socially. FSC works to take care of the world’s forests for future generations – as said in their slogan – making sure we all have Forests For All Forever. FSC certification ensures that products come from well managed forests that provide environmental, social and economic benefits. Forest owners and managers may want to become FSC certified to demonstrate that they are managing their forests responsibly. Along the supply chain, FSC certification can provide benefits such as access to new markets. Since its inception in 1994, FSC certification has grown steadily. It now stretches across 81 countries covering over 199 million hectares of forests worldwide. Today, about 15 percent of global roundwood supply in the timber and pulp and paper sectors is FSC-certified. Finnfund requires its clients to work towards compliance with international good practice standards on sustainable forestry, such as FSC. Therefore, Finnfund encourages its clients to become certified and provides support along the journey.